I thought I’d go a little retro with my use of the NEW Saint Scripts Cathletics Craft Kits. 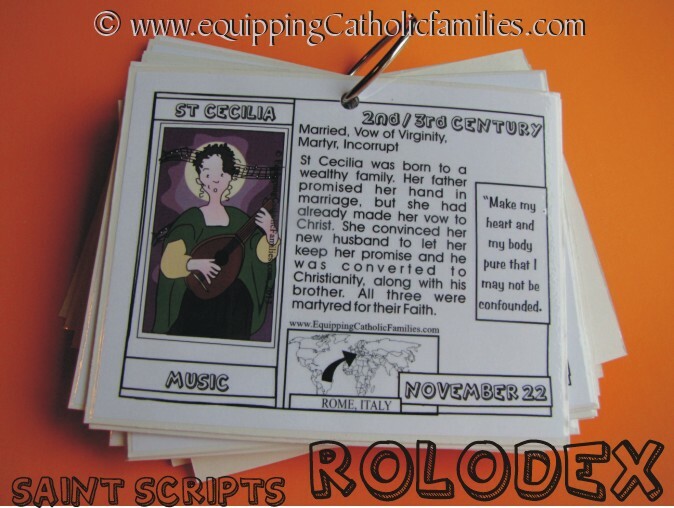 You see, the 21 postcards in each of the TWO kits available can be a pretty helpful reference tool with the name, a brief biography, an awesome full color Kelly Comics illustration and all the basic Saint Stats including years of life, Feast Day, vocation and patronage. 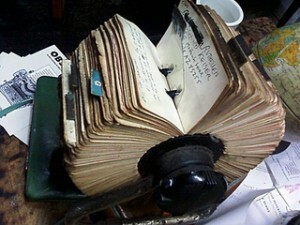 Does anyone know what a Rolodex is? It was a handy little contraption to hold business cards and contact information…before cell phones or contact folders in Outlook. 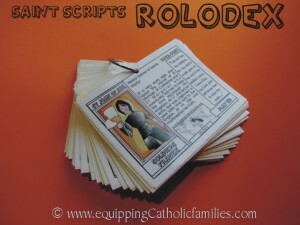 I thought that the Saint Scripts Rolodex sounds a lot cooler than a bunch of laminated cards on a ring, so this is how I made my Saint Scripts Rolodex! 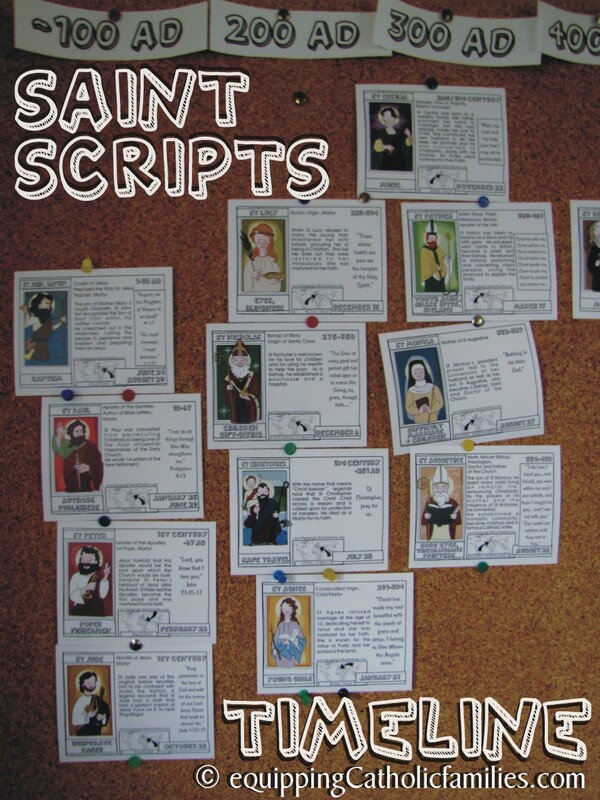 I had the postcard pages printed from the NEW Saint Scripts Cathletics Craft Kits at Staples. Staples can easily laminate the cards, but sometimes I find them a little pricey. I tend to use a couple rolls of clear adhesive from the dollar store. I carefully unpeel the clear adhesive, positioning the cut postcards (face to sticky side) on the clear adhesive. I place the Bristol board on top, as a backing to the postcards, smoothing the Bristol board in place. I cut the laminated postcards apart, leaving a 1/4″ seam where the adhesive sticks to the Bristol board. 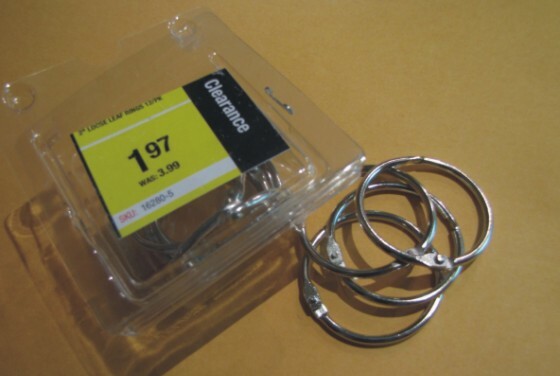 I used one 2″ loose leaf ring from my 12/pk I bought on Clearance at Staples. One ring fits all 42 Bristol-board-backed cards. 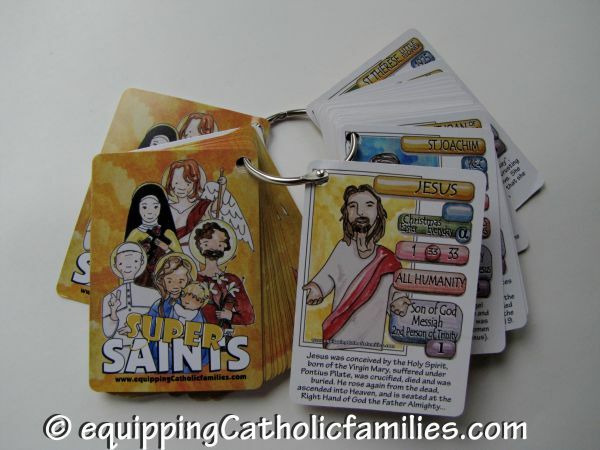 The cards can be easily removed, shuffled and organized by Feast Day (Calendar), years of life (Timeline) or alphabetically for easy reference by Saint. They are nice and colorful…and information-packed. 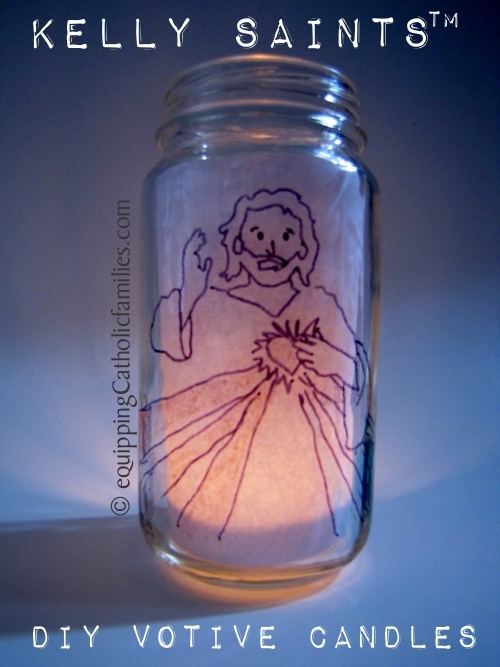 …Just another attempt to secure a Catholic prop to try and keep Adam quiet at Mass. 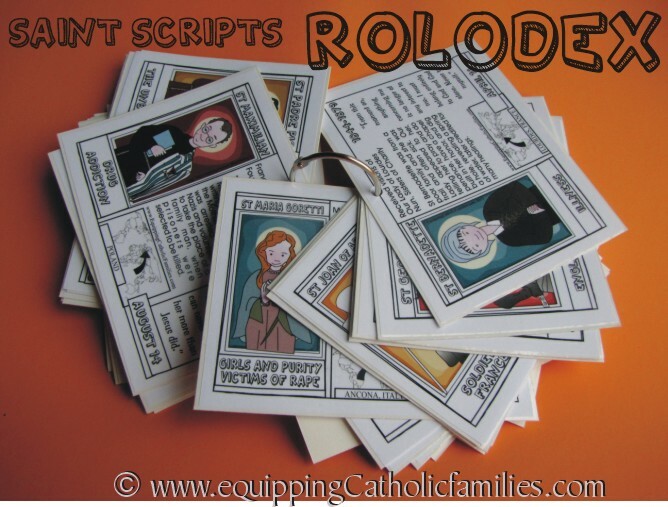 I know that some Moms are appalled by other families bringing any kind of toy to Mass, but I tend to think it’s ok if it’s quiet and is chosen specifically for highlighting reverent, holy people (Saints!) or if it teaches a little bit about the Mass. It goes without saying that Catholic props at Mass…are intended for the younger kids who are not yet preparing to make their First Holy Communion. See my Quiet Bag for Mass. The Saint Scripts Rollodex will also work well for car rides, Saint research projects, bedtime quizzing and any easy reference, if it’s kept within reach. It looks great on the coffee table and someone is bound to pick it up and learn something about one of their favorite Saints…or maybe discover a NEW favorite Saint! 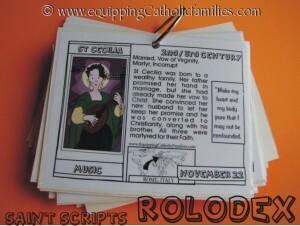 St Cecilia’s Feast Day is coming later this week!